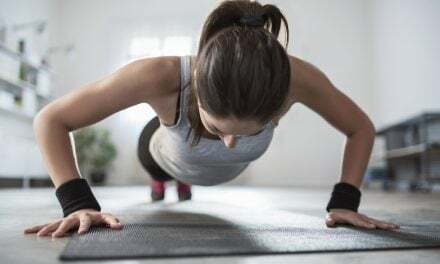 Whether you’re a runner, a powerlifter, a yogi, or just someone trying to stay in shape, you’ve probably heard of the benefits of cross training. Athletes, who once focused mainly on strength and power, are heading in groves to their local yoga studios or spending time in front of the mirror doing their stretches. In other words—the secret is out! Cross training is essential to peak performance regardless of your activity, and is shown to enhance and compliment your principle exercise regime. But somewhere in the all the hype, a very important element has been overwhelmingly overlooked. I’m talking about balance. Fitness is all about results, right? So maybe it makes sense that balance and stability have received so little attention until recent years, as the results are much harder to track. When you’re pumping iron you get big muscles, when you stretch you can see your flexibility increase. But for most of us, we don’t regularly test our balance, at least not in the ways we think. Unless you’re a trapezist by trade, you likely don’t have to think about balance very often. But balance isn’t just about walking a tight rope, it refers to our body’s ability to maintain a natural, healthy posture, and maximize your body’s leverage. This means that you use balance every time you walk, run, lift weights, or just about anything else. And while you might not be stumbling over yourself, even minor imbalances can lead to cheating yourself out of a good work out at best, or causing serious injury or chronic pain at worst. For example, we know that poor posture not only looks sloppy, but can lead to longlasting back and neck issues. This risk is multiplied when exercising. 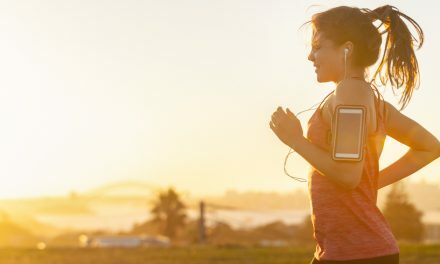 An imbalance when running can put unnecessary stress on different bones and muscles, increasing the chance of injury and over-working some areas while under-working others. The same goes for weights. Bad form as a result from weak balance can cause you to overexert certain muscle groups and ignore others, which is a back injury waiting to happen. So, how can you tell if you’re on- or off-balance? There are a number of ways, and it’s worth looking into several of them as your body has multiple points of balance. You can start by looking in a full length mirror with your feet at hip-width. The first thing you’ll want to look at are your toes—do they point straight in front of you, or do slant inside or outside your gait? If your natural stance is a bit crooked, chances are you run that way too, and you could be adding stress and pressure to your knees and hips. Next, with your hands on your waist, lift one leg in front of you as high as you can, at least to waist level if possible. Ideally, the only part of your body that should be moving is your leg. Take note if you lean heavily on your balancing foot, as this is a clear sign of imbalance. Don’t get discouraged if after a quick assessment you find your balance to be less than perfect. With a little attention, you’ll be surprised how quickly you can enhance your stability, which you may notice in a change of posture during rigorous activities, or less aches and pains after a good workout. Like any other part of fitness, the key is consistent practice. There are any number of balance exercises you can find online and perform in the comfort of your bedroom. They mostly consist of situating your body in a state of imbalance (standing on one foot, holding a plank to one side, lunging with a straight back, etc.) and then either holding that pose for several seconds, or else moving back and forth to strengthen the muscles that engage when transitioning into that pose. One sure way to guarantee constantly working on your balance is to include it in part of your stretching or mediation routine. Stability and balance don’t just affect your body’s performance during exercise or physical activity. The way you run and walk, sit and stand, even the way you sleep can be affected by your body’s balance. Improved balance can lead to greater comfort during these normal activities, as well as help you maximize the time spent in the gym or studio. Like many things, working on balance might almost seem too easy, and so it becomes easy to overlook. You’ll rarely break into a heavy sweat from balancing, and it probably won’t make your muscles bulge either. But it’s an indispensable part of keeping your body in tip-top shape, inside and outside of the gym. NextIs Meal Planning the Key to Weight Loss?